When marine biologist Jeddediah Walker discovers the fish contain a high concentration of chemicals, he suspects they are being deliberately dumped in Puget Sound. And he has another problem - an unexpected, beautiful, and suspicious new tenant renting his cabin. Later, when someone hacks into his computer, he realizes it is no coincidence and sets out to find out more about his mysterious tenant. Maggie O'Hara knows better than most that life can change in a heartbeat. Eighteen years ago she was given the most precious gift- a second-hand heart, and a second chance at life. 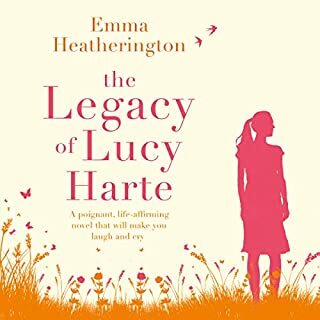 Always thankful, Maggie has never forgotten Lucy Harte - the little girl who saved her life. 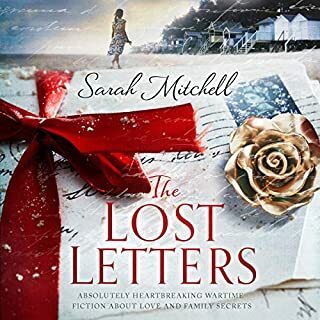 But as Maggie's own life begins to fall apart, and her heart is broken in love, she loses sight of everything she has to live for.... Until an unexpected letter changes Maggie’s life. When English accountant Daniel Elliott dies in a car accident one rainy night, his widow, Grace, is overcome with grief... and panic. Daniel was controlling and their marriage loveless, but he always took care of the sheltered Grace. Or so she thought. 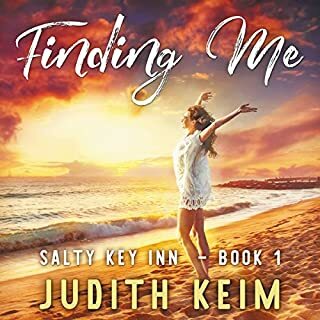 She soon discovers Daniel kept secrets: an alias, mob ties, a list of numbers, a mysterious beach house in Florida... and a girlfriend who looks like Grace. Grace and Jack! 2 thumbs up! What did you love best about Ring of Lies? OMG!! This was awesome...full of suspense and I was completely drawn in almost immediately!!! What was one of the most memorable moments of Ring of Lies? Have you listened to any of Michelle Ford’s other performances before? How does this one compare? No I have not, but I would...she was excellent! HONESTLY LOVED THIS!!!!!!!!!!! I was drawn in and captivated from chapter one....Grace is a character you immediately want to like..she seems very delicate and you feel sorry for her...You can tell she is a really good person, who has been taken for granted for a very long time. Grace's husband dies suddenly in a freak car accident, and she all of a sudden is thrown into a web of his lies and deceit....She learns he has a home in Miami, and leaves London to settle his affairs...well Grace is prone to anxiety attacks...and calls the only person she knows there Jack to help her...Grace had met Jack several months prior and they had an instant attraction, but Grace is a good woman, and stayed faithful...Jack reluctantly agrees to help her, as he had moved on and now has a new baby and a not so nice girlfriend who really wants nothing to do with him or the baby...Well as Jack and Grace start to dig deeper into her dead husbands affairs they uncover a whole dangerous web of lies, deceit, infidelity and lots of heartache for Grace....this is one story you will NOT want to put down...and it really did leave me wanting MORE!!!!!!!!!!!!! Highly recommend, well worth a listen and a credit! I received this audio book as a gift in exchange for a honest and unbiased review. 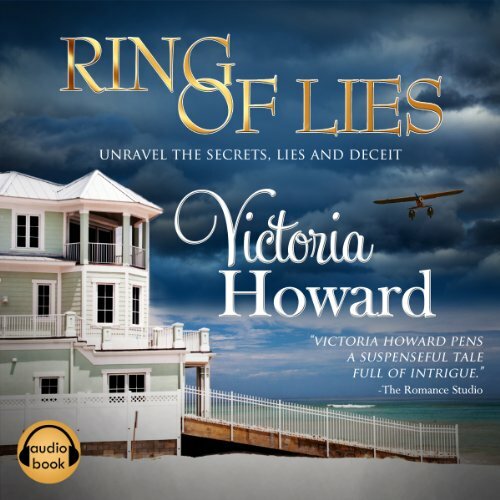 This audio book "Ring of Lies" is about a woman who discovers everything she ever knew about her man is based on lies. It is well written. It is dangerous and suspenseful and even a little romantic. This book really made me wonder what I would do if this happened to me... I just don't know. I would have to say, I 'd have to wait till it actually happened to know how I would react. 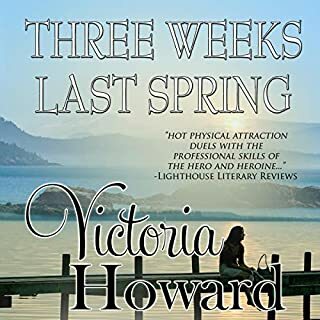 The author, Victoria Howard did a great job writing this story. It has danger, excitement, police and investigative work. the plot is well written too! The narrator, Michelle Ford, did a fine job delivering this story to us with her multiple voices and accents. She was able to add emotions in her content as well. Great job both of you! Grace's world is turned upside down when her husbond dies and finds that he wasn't at all the man that she thought he was. A throughly enjoyable mystery, that gradually gets unwoven. Although some of the plot is a bit predictable , this doesn't spoil this audiobook at all.It got my attention right from the start, and kept it the whole way ,good ending. Good characters, that are believable and are placed in a believable scene. Really well narrated by Michelle Ford. I received this AudioBook from AudioBookblast in return for an unbiased and honest review. Would you consider the audio edition of Ring of Lies to be better than the print version? Yes because I would not have wanted to put it down. I was glad I didn't have to because I had the audio book version! What other book might you compare Ring of Lies to and why? None right now. It was just a very good book. When Grace finally kisses Jake! I was completely engrossed into the story line while I was listening to the book. The book started out introducing Grace the main character of the story. She started out a sweet young woman. The author does an amazing job getting you emotionally interested in Grace. Grace loses her husband and we started out the book at the funeral. As things progress in the 1st few chapters. She decided to go to America to find out exactly what her husband was really up to during their marriage. Grace contacts an old friend Jake. Someone who she was attracted to in the past. Jake readily agrees to meet with her and help her while she is in America. It doesn't take long for them to realize she is in danger. And by now you are lost into Grace's world. The author does a great job keeping you emotionally charged while you follow Grace through her quest to find the truth about her husband Daniel. The man she thought was the love of her life, her world. As the truth crashes down around her, she finds herself falling passionately in love with Jake. I will say this Ring of Lies was a perfect title for this book. About the narrator Michelle Ford. She did a great job with the voices. Michelle's voice of Grace is so sweet. She helped make Grace a very lovable character in the book. Ring of Lies had plenty of twists and lots of danger and suspense. I really wanted to know what would happen next. Even though I sometimes found the heroine a bit frustrating (she's not too bright or what I'd call "spunky" but not stupid either), she was still likeable and probably realistic for her background. I cared what happened to her. The narrator handled the different voices well and expressed emotions and reactions clearly without overdoing it. There were a few British words and pronunciations that should have been American, but there was never any doubt about the meaning and it didn't bother me. 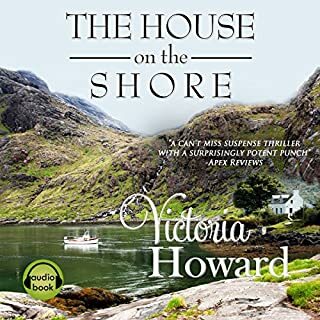 I enjoyed this audio performance and recommend it to suspense and romantic suspense fans--very entertaining story. What made the experience of listening to Ring of Lies the most enjoyable? I'm not a romance reader, so this book seemed out of my element. However, the mystery aspect of the story is very involving. Also the narrator's ability to handle many different accents is quite impressive. If you enjoy mysteries, give this one a listen! The scene painting was outstanding. I felt like I was "in" the scene at all times. I loved the suspense and page turning nature of the story, as well as the characters. Realistic, natural dialog! The chase in the swamp really grabbed me. Jack and Grace were first driving, then running, through swampy land in a bad storm. Fantastic sense of place, heart-pounding suspense, and a very tender moment between the two. What about Michelle Ford’s performance did you like? Not only did I fall madly in love with Michelle Ford's voice (English accent), but I loved this poor woman who struggled so hard to believe that all she'd ever known to be truth was a ring of lies. (great title, by the way!) I wanted to protect her and help her, like FBI agent Jack West did! Who was the most memorable character of Ring of Lies and why? Why, of course, Grace! Or maybe that wonderful couple who helped raise Jack when he was a boy, they ran an inn - I loved them, too. They were folksy and full of charm! This book was an easy and enjoyable listen. I didn't want to stop once I started. I really enjoyed this very long audible story about Grace and Jack. They had met at a tennis tournament and were instantly attracted to one another. Grace was married and kept her vows. Later our two characters find themselves working together to keep alive and to solve several murders. Fun to guess and the narration was really well done. If you could rename Ring of Lies, what would you call it? This audiobook is excellent! Fast paced, full of twists and turns, mystery, romance, etc. I Didn't Want to Stop Listening - Great Suspense! I would say this genre is simliar to Mary Higgens Clark's books - and just as well done! The writing flowed seamlessly, the dialog felt completely natural, the suspense never let up, and the action scenes were riveting. I loved listening to this book! I fell in love with Michelle Ford's female English accent. It was gorgeous, and reminded me of a grown up Haley Mills based on my childhood memories of PollyAnna. (Not that this book is anything like PollyAnna!) Her voice is lyrical, warm, and simply beautiful. Ms. Ford's American male accent was a bit "nasal" sounding for all of the American men in the story, and once in a great while she slipped from one accent to the other in the wrong places, but it was rare and didn't bother me. I could NEVER do what this amazing narrator did, which is hold up a conversation with a Brit and an American all the way through the book. I imagine it might be very difficult to do, and I bow down to her immense talent. An innocent woman discovers shocking secrets about her husband after his death, aided by an FBI agent she can't resist, and who has his own share of troubles to hide. I really loved the main character, Grace. She was well-rounded and quite believable. Jack...well, I'm a guy. At first he ticked me off because of his situation at home. I believe in family first and no fooling around! But then more came out about Jack's true situation (no spoilers here!) and in the end I empathized with him and was cheering him on. I particularly loved the action scenes - there is a swamp scene where Grace and Jack are on the run from villains, dashing through the cold swamp waters...phenomenal! Also thoroughly enjoyed the description of the house in Florida. Wouldn't mind going there right about now! Michelle Ford does a great job narrating this book. Her voices for both male and female characters were good and I believed in the chemistry between the main characters. How well do you know your spouse? With multiple secrets being exposed after Grace’s husband Daniel dies, it’s clear the answer is she didn’t know him at all. This story begins in London and takes us across the Atlantic to Florida as we follow Grace on her journey to uncover all the lies and discover who Daniel really is. Her partner on this journey is Jack West, FBI agent and a man she met 6 months prior when they were allocated seats next to each other at a tennis tournament. From the outset, it’s clear Grace and Jack are attracted to each other. If you’re looking for a complicated whodunit, this is not the book. Even I, a person who tends to miss the obvious when reading mystery books, was able to identify who the murderer was early on. 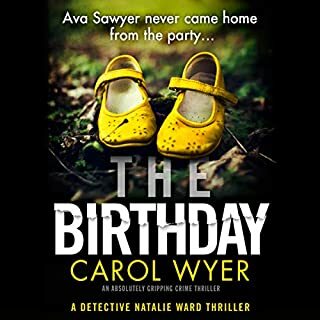 The book delivers a good dose of mystery, suspense and romance and I enjoyed listening to it. I will be adding this author to my want-to read list. Mysterious, intense and gripping ! Jack and Grace are the main characters. Jack is an old friend who is in love with Grace who just lost her husband. He agrees to help her solve several mysterious happenings that occur after the funeral. One complication is that he has a newborn daughter that he loves very much. The "Baby Mama" is not a nice person at all. After being away for a few days, Jack returns to check on his baby and finds that the infant had been left all alone for a while. He lovingly cares for the baby and comforts her and makes her feel safe. I so enjoyed how he showed his love for his baby. Have you listened to any of Michelle Ford’s other performances? How does this one compare? This is my first time to listen to Michelle Ford. She is an amazing voice artist and I hope to hear more from her soon. I was given this book in exchange for an honest review. I so appreciate this opportunity and I want to say that this book kept me on the edge of my seat the entire time I was listening. Disclaimer: I got the audio book for free in exchange for an unbiased review. I love a good mystery, and if there's some romance to boot, I can't ask for more. The idea is great, and the execution is excellent. I've never been to the USA, leave alone Florida, but I could picture it all. The narrator was excellent, too, which greatly added to my enjoyment of this novel! This is my second novel by this author, and I'll definitely check out other novels by her, and I'll check other narrations by Michelle Ford, too.